The General Data Protection Regulation (GDPR) will come into effect in May 2018. Get up to speed on what the GDPR is, and how it could effect industry alliance's operations. The GDPR is designed to protect European Union (EU) citizens from privacy and data breaches in an increasingly data-driven world. Under the GDPR, individuals will have more control over their online presence and personal information. Organizations controlling data, like industry alliances and trade associations, will be responsible for keeping this personal data secure. 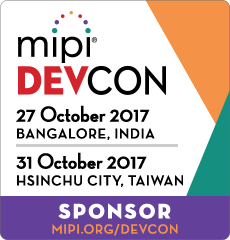 The MIPI® Alliance, an international organization that develops interface specifications for mobile and mobile-influenced industries, today announced highlights of its forthcoming developers conference, MIPI DevCon Hsinchu City. The one-day event, hosted in Hsinchu City for the convenience of developers in Taiwan's vibrant technology sector, will provide education, technical training and a networking forum for implementers of MIPI specifications. WHO SHOULD ATTEND: The conference is tailored to developers who are interfacing sensors in mobile, IoT or automotive designs, or integrating imaging, displays and touch components in connected cameras, tablets, laptops and other devices. Program content will provide great value for system architects, engineers, engineering managers, and business and marketing executives. Members of the media and industry analysts are invited to attend with complimentary registration. “Today marks a pivotal day for wireless charging, and those that stand to benefit are consumers. 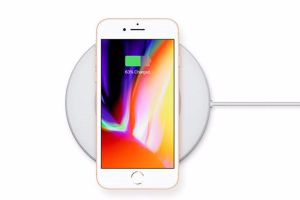 With Apple’s announcement to include Qi wireless charging in the iPhone 8, iPhone 8 Plus and iPhone X, we expect to see rapid acceleration in consumer adoption and an increase in category innovation. We’re closer to the day of ubiquitous access to wireless charging, giving people a convenient, always-charged experience. TagVault.org, the neutral not-for-profit clearing house for software tagging, primarily focused on software identification tags and related standards in the ISO/IEC 19770 family, announces today the public availability of its SWID Tag Signing Guidelines. This document defines the best practice for signing SWID tags in accordance with common industry standards. When digitally signing SWID tags, software publishers/providers will, at minimum, follow the W3C XMLDSig recommendation, include an enveloped signature – the public signature of the signing entity, and add a timestamp per the W3C XAdES-T format. The first three draft specifications from the Fairhair Alliance have been reviewed by external organizations, with a positive response that validates Fairhair’s scope and direction. The Fairhair Alliance has created three draft specifications that represent the organization’s first steps in bringing the Internet of Things (IoT) to building automation and lighting in commercial buildings. The specifications have been reviewed externally, and the feedback received will allow Fairhair to make further enhancements. Fairhair envisions a future where the building-automation and lighting-control industries use IoT technologies to build secure, cost-effective and scalable systems. This will enable the use of a single, unified IP-based network infrastructure in commercial buildings. The planned evolution will address new opportunities for growth in the lighting industry that come with the IoT and service economy and that are based on making in-field replacements. The Zhaga Consortium, a global association of lighting companies that is standardizing interfaces of components of LED luminaires, today announced it has plans to evolve its technical mission towards interface specifications for interoperable components. This step will answer the industry’s need for truly interoperable components, addressing new opportunities for growth in the lighting industry that come with the IoT and service economy. As one aspect of its plans, Zhaga intends to expand its scope to include all relevant interfaces of smart LED luminaires, including the interfaces between the driver and the LED modules and sensors, as well as the data interfaces that will fuel the IoT. Another aspect of its plans entails an increased focus on users that are not lighting specialists. The purpose of the plans is to make it easier, e.g. for an installer but ultimately also for an end-customer, to find and replace components. LED drivers and certain types of control device. has launched its program for the certification of DALI-2 devices. DALI-2 certification brings the promise of significantly improved interoperability compared with current DALI devices in the market, thanks to comprehensive and detailed testing procedures. For each product, the DALI-2 test results are independently verified by DiiA before certification is granted.